The Coconut Water Craze – What do the Stars Know that We Don’t? The Coconut Water Craze has hit Hollywood full-force. With powerful investors like Madonna, Demi Moore and others investing millions in this product, what's the secret behind the product? Health and Wellness portal BeWellBuzz.com has answers. As the Academy Awards post-Oscar parties kicked off last Sunday evening, many of Hollywood’s silver screen stars prepared for a night of partying with a dose of Coconut Water. It’s the health-crazed phenomenon which has captured the entertainment world by storm, not only for whose drinking the popular health product, but also those who are financially invested in Coconut Water. Health and Wellness portal BeWellBuzz.com has the scoop as to why so many celebrities are drinking and investing in the Coconut Water craze. At the 2011 Academy Awards show, Hollywood actor Chris Pine and Anna Paquin were both spotted on the red carpet with their bottles of Coconut Water. Traditionally, this would be the work of clever product placement, but not so in this case. According to company spokespeople of this particular brand, these on-screen celebs were not paid to endorse their products. However, their endorsement of this particular product might have been due to certain celebrity investors of this brand of Coconut Water. It has been reported that Musical Icon Madonna, ponied up over $1.5 million to invest in this product, as did Hollywood Film Actors Demi Moore and Matthew McConaughey. Red Hot Chili Peppers lead singer Anthony Kiedis has also been rumored to be an investor in this health conscious product. So what is it that these celebs know about Coconut Water that might not be common knowledge? Many people living in tropical countries are firm believers in the concept that coconut water is one of the most delicious drinks available in their region. 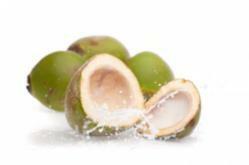 Coconut water is found inside green coconuts and it forms the basis of several delicious drink options. However, most people prefer drinking coconut water fresh, as it is, because not only does it offer some fantastic benefits, it is also very tasty and quenches thirst better than the calorie-loaded sodas. This natural thirst quencher has a range of amazing benefits that will make many people stop from reaching for that can of sugary drink and head straight to the tropics where you can find these in plenty. Perhaps it is for these reasons alone that the Hollywood elite are fond of Coconut Water and finds it easy to invest in their future sales? Other reasons could be its ability to effectively hydrate the body, help with proper digestion and provides a proper balance of essential minerals. There are several reasons why a person could benefit from adding Coconut Water to their diets. BeWellBuzz.com provides more information on the benefits of Coconut Water by clicking the link below.